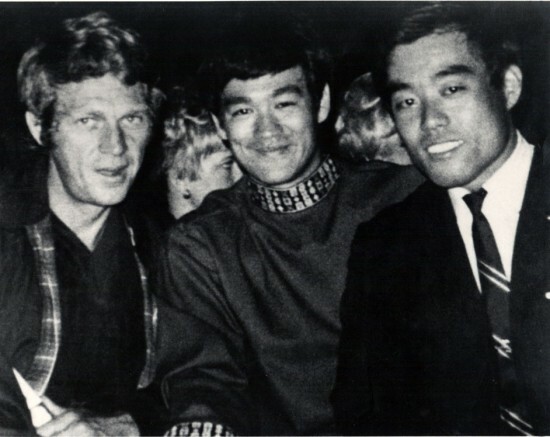 Fumio Demura with screen legends Steve McQueen and Bruce Lee. IRVINE – “The Real Miyagi,” an award-winning feature documentary, was released worldwide on DVD on Feb. 11. 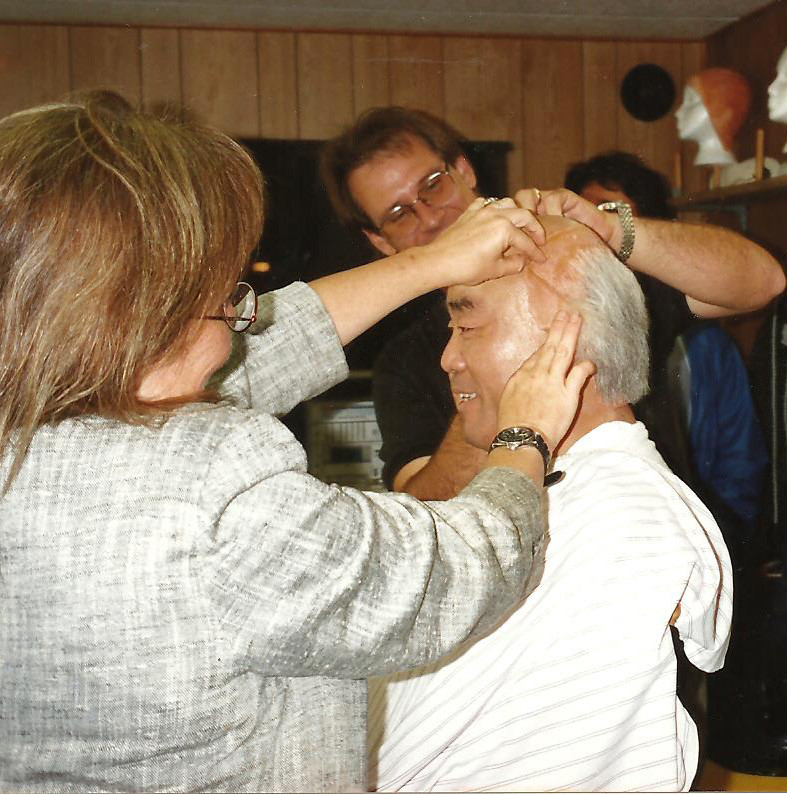 Love Project Films, in association with Odin’s Eye Entertainment, produced this loving tribute to an inspirational Japanese master who came to the U.S. in the early ’60s with nothing and changed America. Three years in the making, this long-awaited documentary captures the life of Master Fumio Demura, a man who has that’s influenced many of Hollywood’s elite over the last 50 years. Those talents include Chuck Norris, Bruce Lee, Dolph Lungren and Steven Seagal. 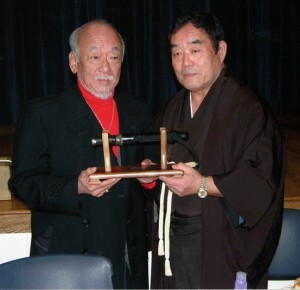 Fumio Demura with Pat Morita, who played Miyagi in four “Karate Kid” films. A native of Yokohama, Demura, 77, holds the rank of ninth dan in Shito-ryu karate and is also a master of kobudo (weaponry). In addition to the three “Karate Kid” sequels featuring Morita, his credits as a stunt player include “Mortal Kombat” (1995) and “Walker, Texas Ranger” (2000). His acting credits include “The Island of Dr. Moreau” (1977) and “Rising Sun” (1993), and he was both stunt coordinator and a cast member of “Ninja” (2009). For more information on the film, visit www.TheRealMiyagi.com. Love Project Films LLC, a joint independent film company co-founded by director Kevin Derek and producer Oscar Alvarez, is an Orange County-based production company developing original material for motion picture and television networks, and new entertainment content and services. For more information, visit www.loveprojectfilms.com.